Securimax is one of the best security service providers in the region. Its business spreads over the mainland, Taiwan and Hong Kong with over 5,000 employees. The company operates in three key sectors: Gugarding Services, Electronic Security Solutions and Property Management. 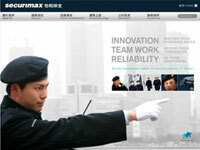 Securimax Taiwan is a subsidiary of Securimax Hong Kong Holding Limited.